Thank You Caffee & Rausch For Being A Presenting Sponsor! 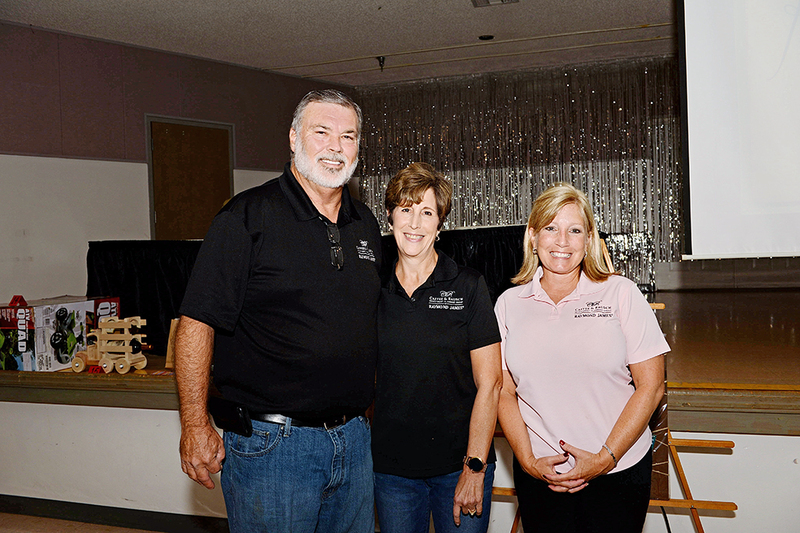 Pictured, left to right, are Don Rausch, Marie Rausch and Carolyn Caffee, representing Caffee & Rausch at our Quarter Auction & Dinner. Caffee & Rausch/Raymond James was a presenting sponsor ($6000) for the event. Additionally, we receive great support from this organization throughout the year. They are devoted to helping the children in our community.